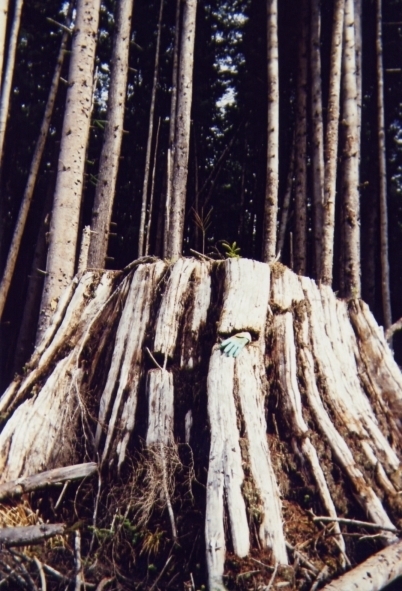 I took this photo of an old stump with a disposable camera while pounding out an awesome little cream patch behind the (then M&B) shop in Port McNeill on Vancouver Island. That’s my glove in the springboard notch, for scale. Copyright © 2013 Charlotte Gill. All rights reserved.